Who knew that by using a body brush several times a week - can really look to rid any dead skin cells on your body and allow it to feel softer and smoother again. 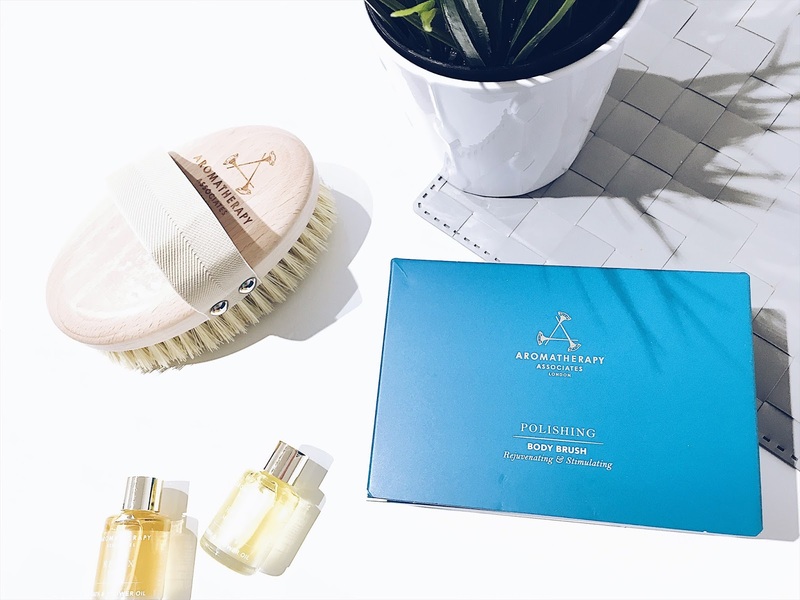 You'll find that with constant use of the body brush, it will help to promote your blood circulation and remove any dead skin cells by buffing away the surface. If your skin is currently feeling dry, flaky and rough, then the solution could be to exfoliate once a week. Buffing away all of the dead skin cells is essential when you're trying to achieve a healthier glow for your skin. 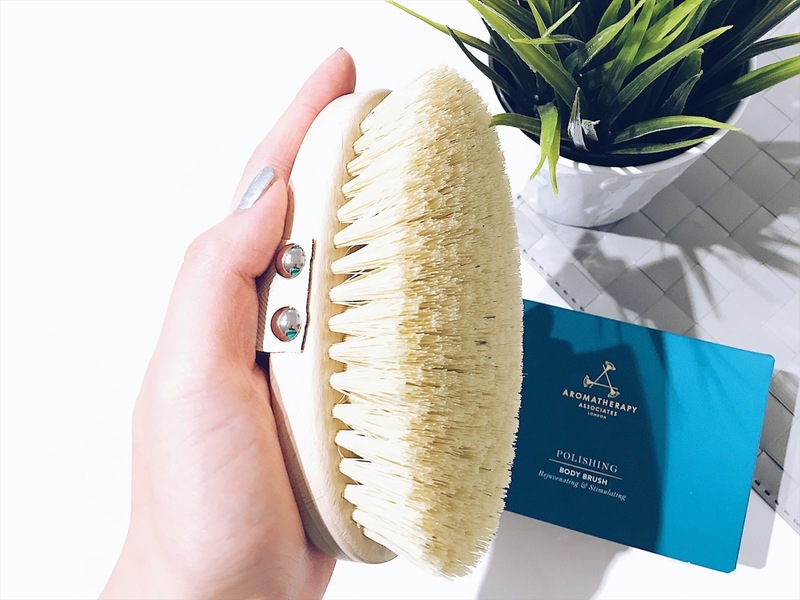 For the Aromatherapy Associates Body Polishing brush, it comes in a woody type of brush along with the natural feeling bristles which come from cactus sisal. It feels of high quality and something I would definitely have around in my bathroom for the family to use. Ensure that you cover the whole body by using either short or long strokes (depending on how comfortable you feel). Next use the Aromatherapy Associates Bath and Shower oils or body wash and lather all over the body. Look to rinse. Note: Don't wet the brush, it's meant to be used as dry. Overall after trying out the body brush by using short strokes onto my arms, I can definitely feel my blood circulation moving into one direction. My skin definitely feels silky soft and smooth afterwards which is a wonderful and comfortable feeling. Usually, I would be using a liquid exfoliator to buff away all of the dead skin cells on my body, but in this case - it's unique and a much effective way to leave your skin looking brighter and feeling better. I would highly recommend this body brush if you're looking for an effective body brush to use before showering or bathing. Also, available at leading hotel and destination spas, worldwide. Are you looking for a body polish brush at the moment? Thank you Aromatherapy Associates for supporting me for this review. My reviews are based on my own experiences and I only recommend products that I truly believe in.